Tyler Zeller spent the last few weeks waiting for a team to call. When USA Basketball resumes its quest to qualify for the 2019 FIBA World Cup, Zeller will be wearing the red, white and blue in an international game for the first time. The NBA veteran and current free agent is one of the 12 players on the squad for this two-game window of qualifying, which starts with a crucial matchup Thursday at Argentina. "Obviously, I just love to play," said Zeller, who played for four NBA teams after leaving North Carolina in 2012. "When they called and asked if I wanted to play, I told them I'd love to. Hopefully I can get on an NBA team, play well and somebody will pick me up after. But at the end of the day, I just love to play basketball and I want to go compete for our country and try to get them qualified on this trip." The U.S. is on the brink of clinching one of the 32 spots for the World Cup, with a 7-1 record in qualifying so far and tied for first with Argentina in Group E of the Americas qualifying. They're in a six-team division for this round, and the top three finishers in that division are automatically assured of a berth. The U.S.-Argentina winner will have a three-game lead over the fourth-place team with three games left, so Thursday's outcome looms large. If the U.S. goes 2-0 on this trip — the Americans visit Uruguay on Sunday — the World Cup spot will be clinched. A 1-1 record could assure a spot as well, depending on outcomes of other games in this qualifying window. Before flying to Argentina on Sunday night, the Americans gathered in Houston for a few practices. Clinching scenarios weren't exactly discussed in great detail, and players' focus was largely kept on Thursday night's test in La Rioja — where as many as 11,000 Argentines will fill an arena to root against the U.S.
"They know where we stand, and they know we're going to need to win two more games to qualify," U.S. coach Jeff Van Gundy said. The G League has provided most of the players that the U.S. has used in qualifying so far, and that will be the case again this time with 10 players coming from those clubs. The other two are free agents — Eric Moreland, who appeared in 67 games with Detroit last season, and Zeller, a vet of 406 NBA games with four different teams. 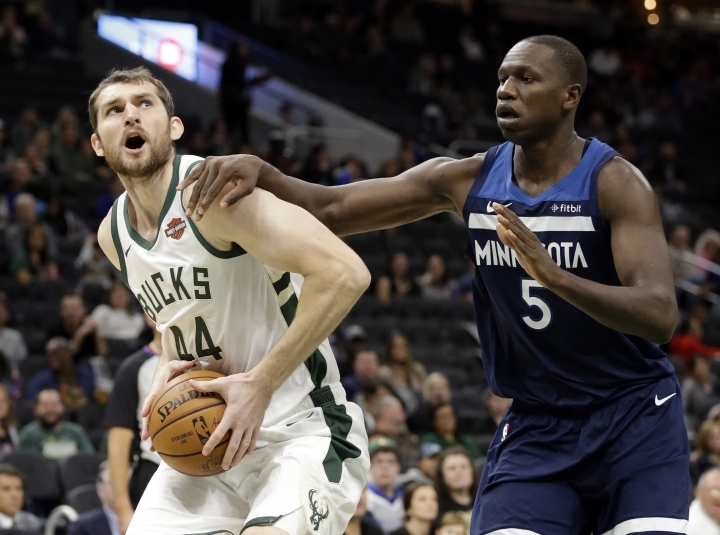 Zeller, 28, was waived by Milwaukee during the preseason. He has also played for Boston, Cleveland and Brooklyn during his NBA career. Van Gundy said these two games will be a chance for Zeller to show he belongs back in the league. "Some guys have never been in the NBA and want to get there and other guys like Tyler have been there and want to get back," Van Gundy said. "For Tyler, it's important that he show the NBA people that the thing they're most concerned about, which is probably his pick-and-roll defense, is capable of standing up against NBA competition." The 7-foot Zeller will likely get matched up plenty Thursday against a familiar face: Longtime NBA player Luis Scola leads Argentina. "It's a great opportunity," Zeller said. "We're going against two of the better FIBA teams in the world on this trip, we get to go compete at a high level and I think everybody here is excited about that."